A great way to get a customer to purchase products with your business is to ensure that you are constantly in their mind. If they are always aware of your company and know what you do, next time they need a product or service that you provide they are likely to come straight to you purchase. Having little reminders that subtly tells them about your brand may also entice them to inquire further and look at your products and service. Keeping in the mind of your clients can be accomplished in many different ways. It’s just up to you what processes you put in place. A great way to always be in your customer’s attention, due to its ease of scheduling and customisation, is to set up various email chains to add customers into. You can set up various emails that go to your customers when you want that will remind them of your brand, notify about recent company news and suggest products to them. You can also have the emails customised to each client so it feels personal by changing the name it is addressed to, talk about specific aspects of their order and recommend related products to items they bought. Furthermore, once you have set up the email chain you don’t need to edit it again. Therefore you can reach a large amount of people with personal messages with a relatively low amount of effort. Customers like to see charm of a corporation. That’s why it’s important that customers don’t only see you just as a business and that they see other facets of your brand that will make them like you and respect you more. Social media is a great way to do this as you can show of the faces and the people behind the business, interact with clients in a friendly casual way as well as ensure that your customers are seeing your company and you are fresh in their mind. It is important in social media that not everything is about business as the more casual aspects are more likely to capture your customer’s attention and grow their appreciation of you. Moreover having them like your brand will lead to getting more likes and shares, growing your audience even further. Using Google services like AdWords allows you to remind customers who have visited your site about your products and try to get them to come back. Create some compelling ads, customise them to what page and products they have looked at on your site, to remind them of your brand and service. The great thing about this is that it can be quite subtle as they will see your company logo and branding while doing other things, seeing various products that they could be of interest, which will eventually lead them to browse your site or entice them to purchase more. A great way to constantly remind a customer about your brand is to have your branding on an item within their possession that they will see on a regular basis. This is one of the main functions of promotional merchandise as you brand an item with your artwork or logo and give them to your customer so that whenever they use it they see you’re branding. Your company branding and logo will be constantly fresh in their mind. In addition, if they receive a useful and functional item from you they will have a greater opinion of your brand. 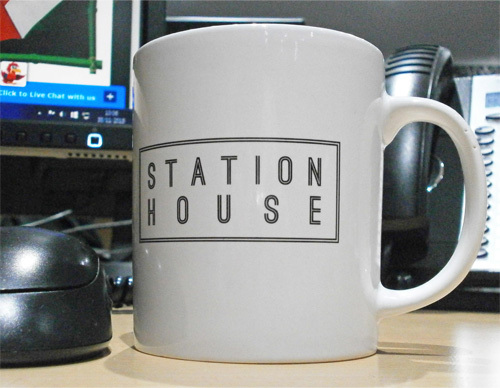 Some very good products for this are promotional mugs as they will see your branding whenever used for a cup of tea or coffee. Sending letters and mail to customers can create intrigue because direct mail is used less often in the digital world of today. Receiving a letter would create interest as to why they have been sent it so and will read some if not all of the message. It works as a reminder of your brand and service and can tempt them to enquire further with your company. Plus you can combine it with other additions like offers, news and even promotional products to make it stand out more and be more effective. Customers forgetting about your brand, product and service can be very detrimental to repeat sales because they may not think about what you provide again or you won’t be the first port of call if they need it in the future, losing business to other companies. Ensuring that customers always remember you can be a great boost to your sales so it is highly recommended that you spend a good amount of time focused on them and drawing them back in.